Britons will have to pay €7 (£6.30) every three years to travel to EU countries, as a consequence of Brexit. The European Commission has confirmed that while UK travellers will not need a visa, they will need to apply for and buy another document. It is called an ETIAS (European Travel Information and Authorisation System) and although not launched yet, is expected to come into force in 2021. The travel requirement is not just for the UK but for many non-EU countries. Citizens of EU countries - which currently includes British people - are able to travel anywhere in the EU. But anyone from a non-EU country has to apply for a visa - unless they are from a special list of 61 countries, which also includes the US, Japan and Australia. However, because of the migrant crisis and security concerns over terrorism, the EU has decided to bring in more controls over the countries on this special list. So it is introducing the ETIAS - an electronic application form - which is Europe's version of the United States' $14 ESTA, although as the EU Commission points out, it is "way cheaper". It is not a visa but a travel requirement for anyone on that list of 61 non-EU countries who are coming to the EU for business, tourism, medical or transit-related reasons for up to 90 days. The EU says the ETIAS system will "to strengthen security checks on those persons who travel visa-free to the EU". What will UK travellers to the EU have to do? 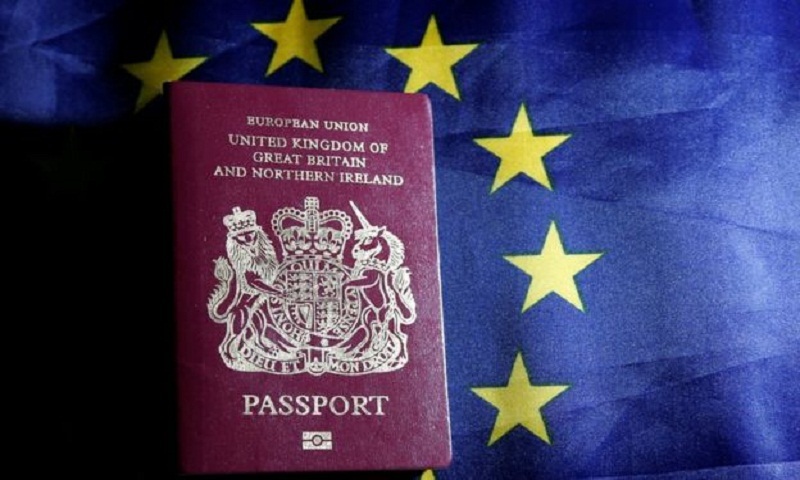 Under the Brexit deal, EU citizens and UK nationals will continue to be able to travel freely with a passport or identity card until the end of the transition period in 2020. After this period ends, the European Commission has offered visa-free travel for UK nationals coming to the EU for a short stay, as long as the UK offers the same in return. But although they do not need a visa, UK nationals will need an ETIAS - deal or no deal. The form - which the EU describes as a "necessary and small procedural step" - will take no more than 10 minutes and anyone between the ages of 18 and 70 must pay the fee, the EU says. The details needed for the application form will include passport information as well as background questions about criminal records or medical conditions. Most people will find out if their application has been successful within minutes, the EU says, with more than 95% of applications approved automatically. Applications can also be denied or take up to four weeks to process. It is not known what rules will apply to EU tourists coming to the UK, but according to the EU and UK's political declaration, both sides will aim to provide "visa-free travel for short-term visits". The European Commission previously said the EU's offer of visa-free travel to the UK was "entirely conditional upon the UK also granting reciprocal and non-discriminatory visa-free travel for all EU member states". The proposal - which will come into force on 29 March 2019 when the UK leaves the EU in the event of a no-deal Brexit - must be adopted by the EU Parliament and European Council before it can come into force. The UK already grants visa-free travel to nationals from 56 countries - ranging from the United States to the Maldives - allowing people to stay for a maximum of six months. But they are not allowed to work, study or settle. The news could also lead to a renewed surge in applications for Irish passports by British citizens. Citizens of the Republic of Ireland, an EU member state, will retain visa-free travel benefits after Brexit, no matter the outcome of the UK's negotiations with the EU. UK residents are entitled to an Irish passport if their parents or grandparents were born in Ireland, while most Northern Ireland citizens are entitled to an Irish passport if they wish. Earlier in 2018, it was reported that Irish passport applications by UK citizens were booming.